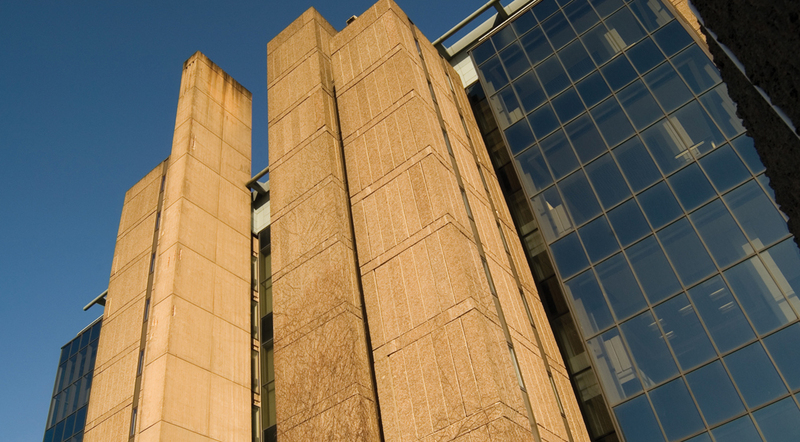 “Glasgow University’s Main Library building had significant structural defects associated with the on-going deterioration of the existing concrete cladding panels. 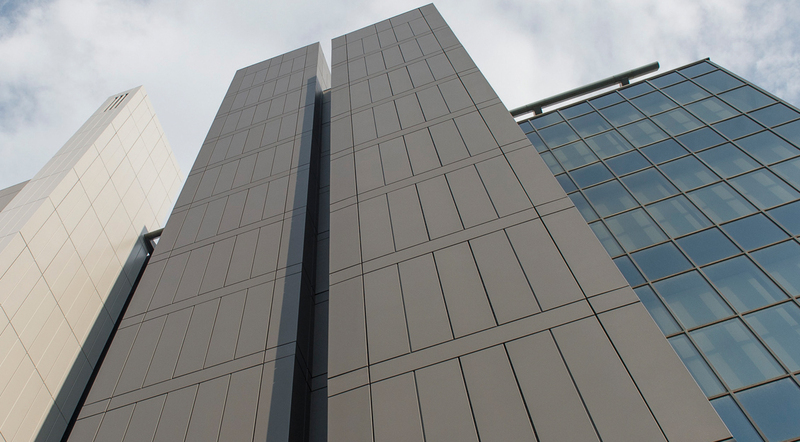 d+b facades were successful in being awarded the contract to undertake structural repairs and additional restraining of existing pre-cast concrete cladding and thereafter installing a completely new façade. 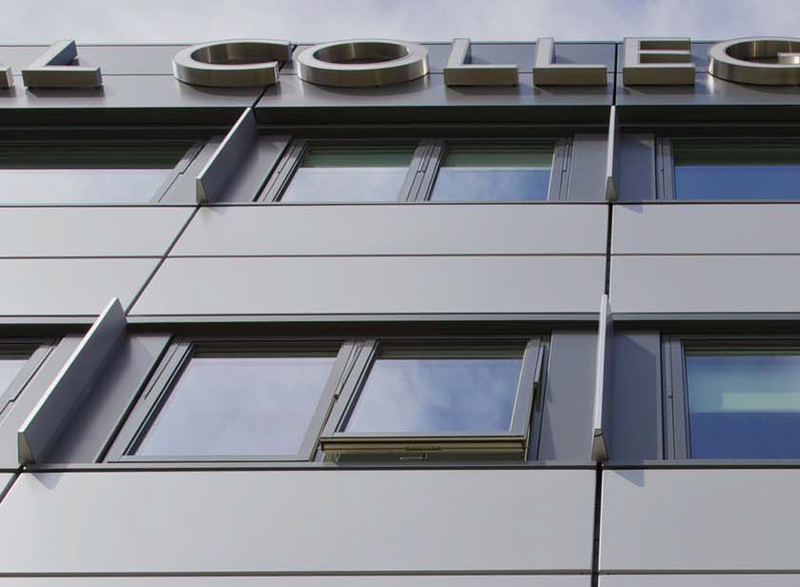 This was in the form of a new lightweight aluminium rainscreen over-cladding system complete with new high performance double-glazed windows. 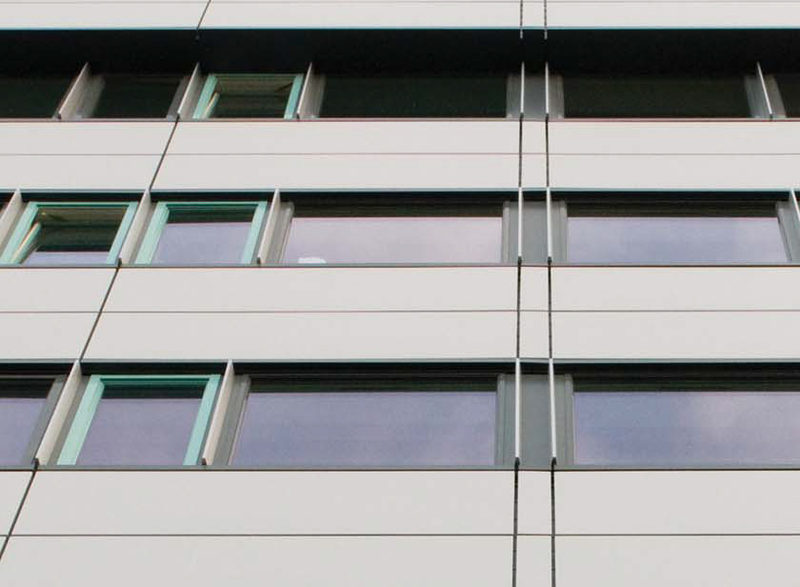 The project is considered by many to be one of the most complex over-cladding projects undertaken within the UK HE sector with significant access challenges having to be overcome to achieve the desired outcome in a safe manner. The works were completed on time and within budget and to a very high standard. 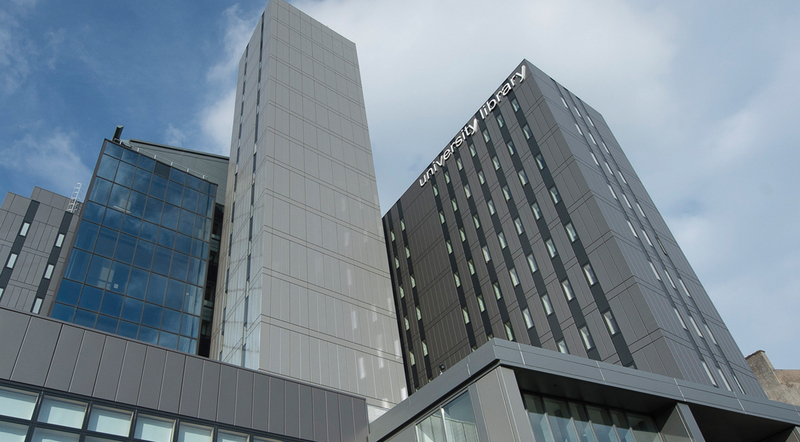 The team at d+b worked closely with the University Estates and Buildings and Library teams to coordinate a difficult job within a live and very busy student environment. 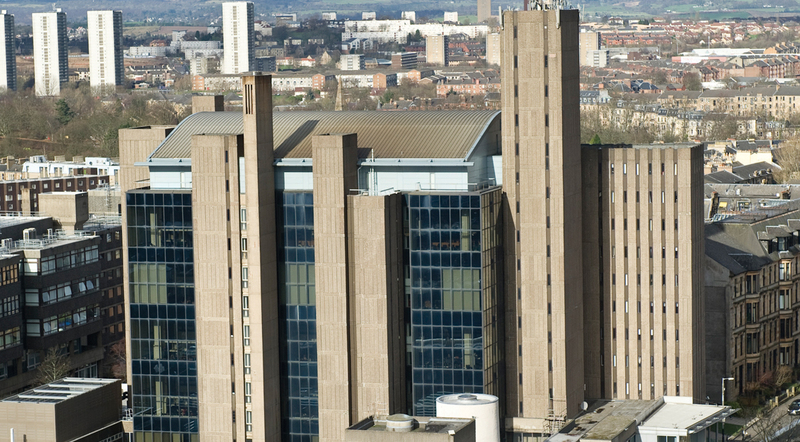 The Library building is a landmark building situated on one of the highest points in the City of Glasgow. 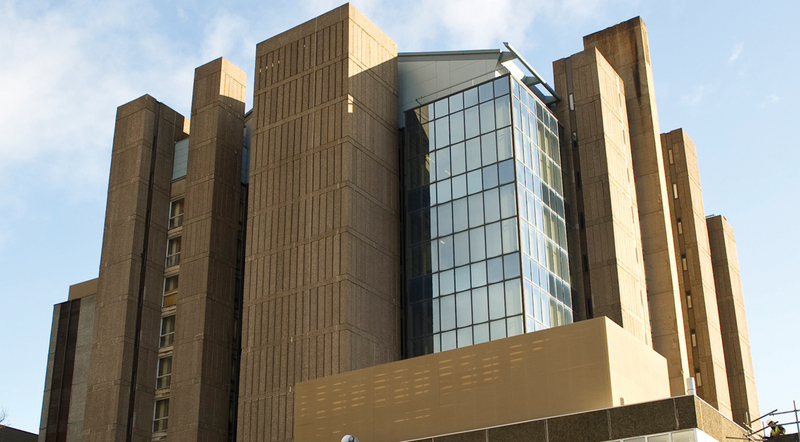 It comprises a concrete-framed structure whose main body is curtain walled with six service towers in precast concrete cladding panels faced with granite chippings. The highest tower is 17 storeys. 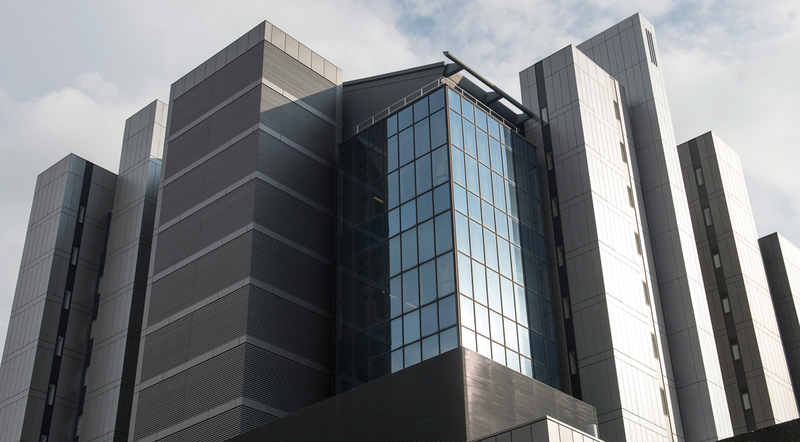 The PCC cladding has deteriorate over the years and despite ongoing remedial works threatened to become unstable and unsafe. The panels contain excessive quantities of calcium chloride and are subject to progressive chloride attack. Some panels had already fractured and pieces of concrete had fallen from the building. 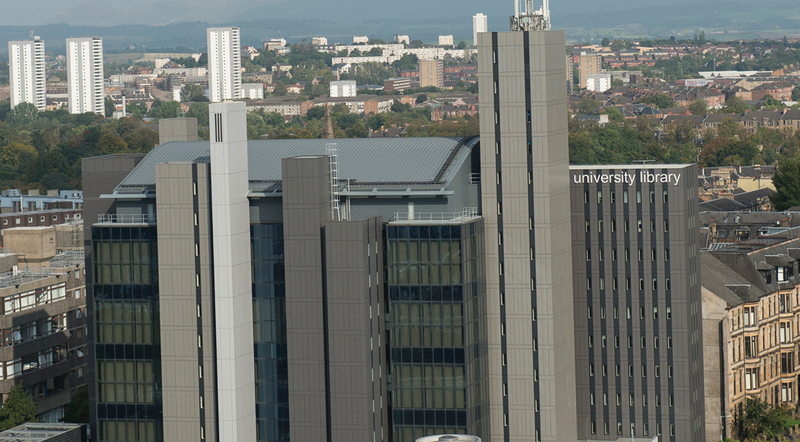 After completing a detailed review under the leadership of Robert Kilpatrick, Assistant Director Estates (Operations), the University in conjunction with their appointed architect, David Nimmo, Nimmo & Partners LLP, determined that the best technical solution to the problem, and the only one economically viable, was to overclad the building. 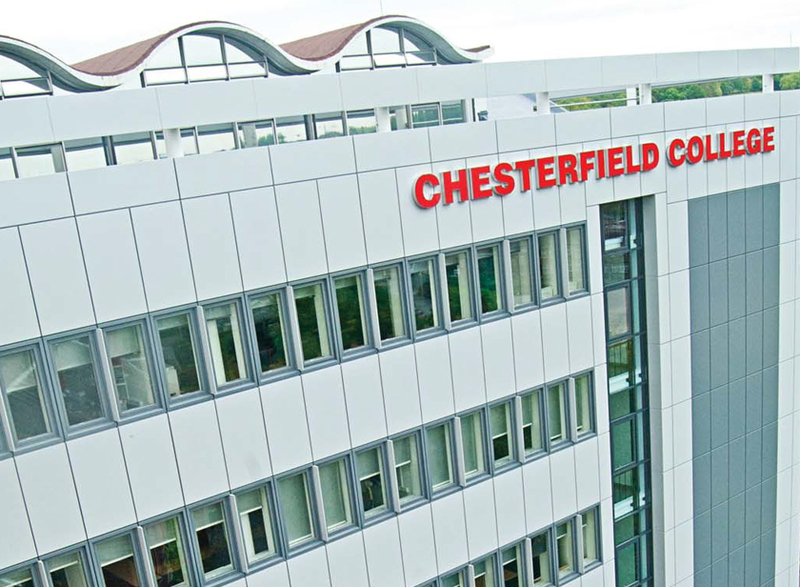 The building presented considerable challenges, in particular access given the scale of the building and this required the use of a highly experienced abseiling team for stabilisation and repair works and also installation of cladding in areas where no alternative access was possible. 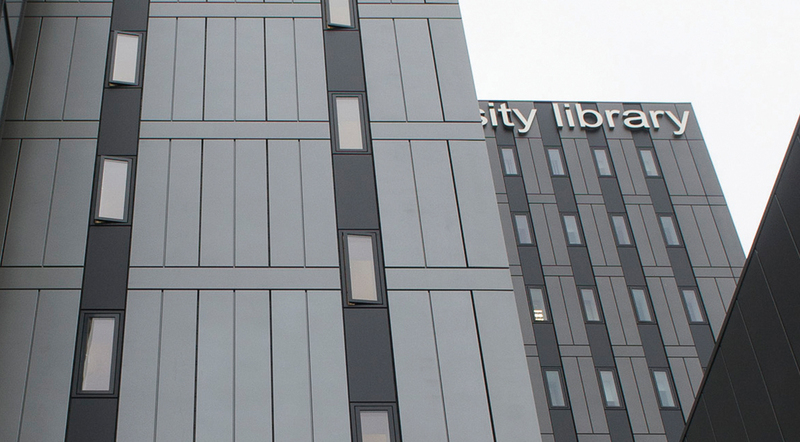 The Library is one of the busiest buildings on the University campus being in use 361 days a year from 07.15 until 02.00 am the following morning. Noisy and disruptive works had to be kept to be a minimum and project phasing, access and protection had to be carefully managed to prevent inconvenience or risk to building users and the general public. 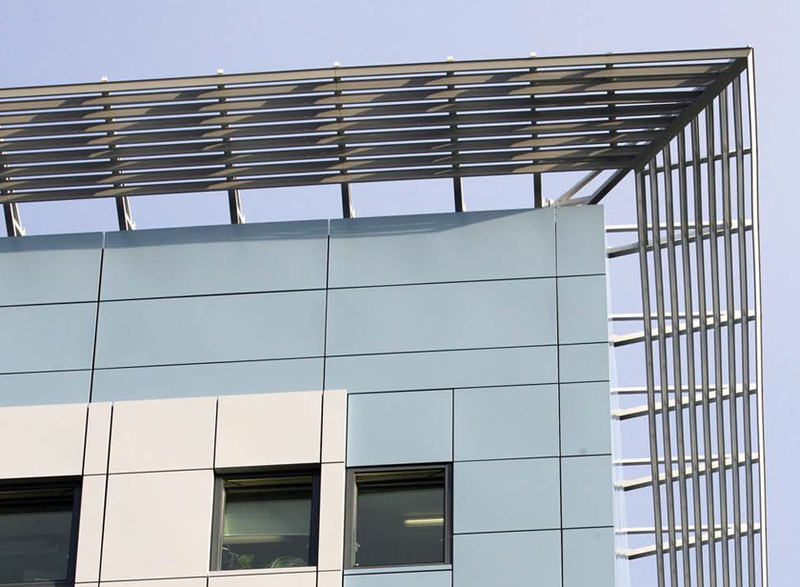 The scope of works comprised the design and delivery of a complete total envelope solution taking single point responsibility for the entire project.